long term use side effects prednisone You may recall that I adore Beef Stroganoff, I’ve previously posted THE best recipe for it HERE. But browning each little cube of beef can be time-consuming and trying. 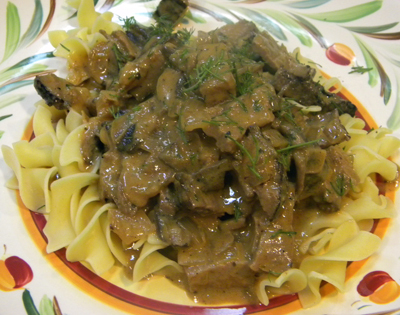 I had a huge piece of tri-tip leftover and decided to try and make Stroganoff with already cooked meat. Honestly, it wasn’t as wonderful as the original recipe, but it certainly satisfied the craving, used up leftover meat, and was still darn tasty!